This is where cinematic make-up artist Stuart Freeborn was born. Description: Born in this house in 1914 was Stuart Freeborn, a renowned make-up artist who worked on the original Star Wars films creating the iconic characters Yoda and Chewbacca. 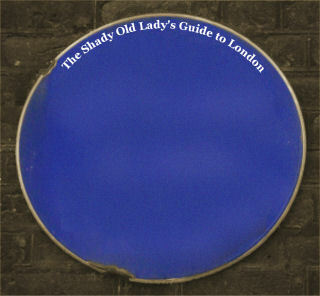 In early 2016 a blue heritage plaque was erected on the house in his honour. It states that The acclaimed motion picture make-up artist, often referred to as the grandfather of modern make-up design, was born in this house. 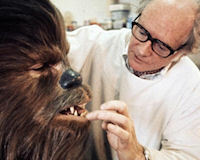 Perhaps best known for his work on the original Star Wars trilogy, most notably in creating the characters of Yoda and Chewbacca. Early on he studied chemistry to find out which plastics were safe on human skin, and went on to work on more than 75 films in his career. Films included A Space Odyssey, Dr Strangelove. He was also artist to the stars of the 40's and 50's including Marlene Dietrich, Burt Lancaster, Vivien Leigh and Gregory Peck. He died in February 2013 aged 98.